John Arquilla, a professor at the U.S. Naval Academy and former military adviser has urged President Barack Obama to pardon the British computer hacker Gary McKinnon and to recruit master hackers to US Cyber Command. Gary McKinnon faced extradition for hacking into Pentagon and Nasa systems, and but they believe that he could encourage other hackers to become government cyber warriors. 'If the notion of trying to attract master hackers to our cause is ever to take hold, this might be just the right case in which President Obama should consider using his power to pardon,' says Arquilla. China is widely thought to employ hackers, so the Pentagon aims to expand its cyber security personnel from 900 to 4,900 in the next few years and Hackers are frequently employed by security firms after serving sentences and Arquilla suggest Obama to do so. Aaron Swartz, an internet pioneer and open data crusader, killed himself last month while fighting federal hacking charges and a possible 35-year prison term. 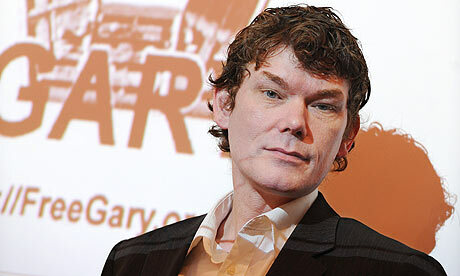 Pardoning Gary McKinnon may open many opportunities for hackers.